I have always loved to color but felt a little silly coloring in a children's coloring book, it wasn't so bad if I was coloring with the grandkids haha but not something I'd want to carry with me in public. I was so happy when I was given opportunity to try out Coloring-On-The-Go Adult Coloring Books. Now I can color to my heart's content in public or at home. The pictures are very detailed and beautiful. You can use gel pens, markers, colored pencils, or crayons and not worry about the colors bleeding through the page. 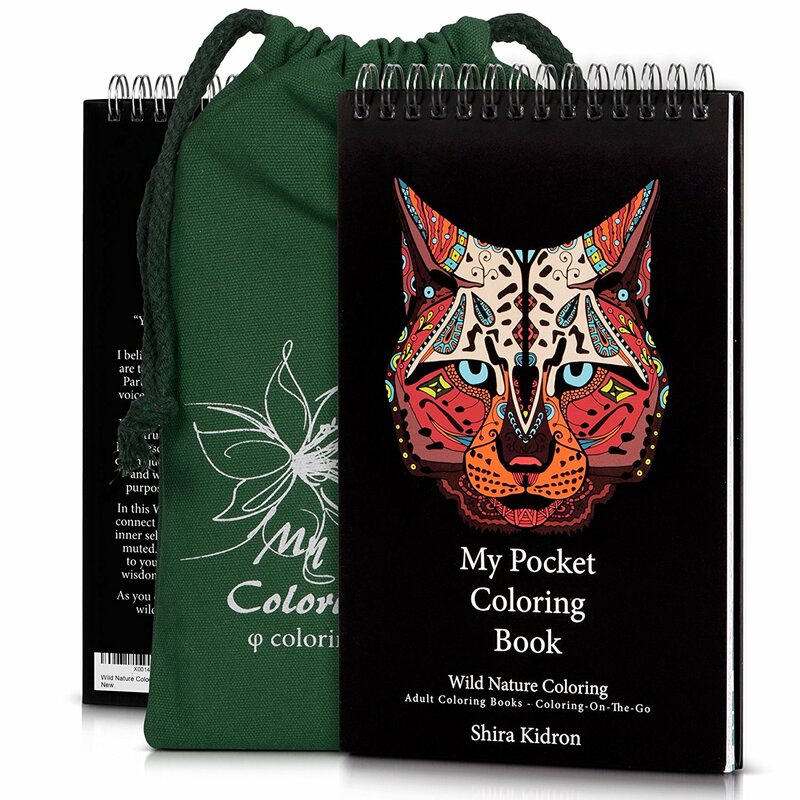 Plus this book comes with a nice carrying bag that will hold your book and your markers, pens or crayons. This is really nice to have for yourself but also would make a great gift for other coloring enthusiasts. It is really relaxing to color while you're on break at work, while you're traveling, or even just sitting on the couch at home.